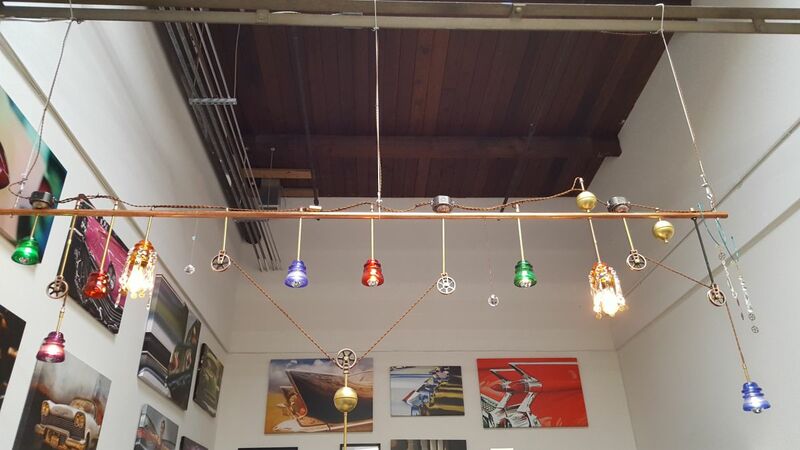 LED Filament Bulb - Silver Tipped G14 Candelabra LED Bulb w/ Filament LED - Dimmable: Shown On In Warm White. 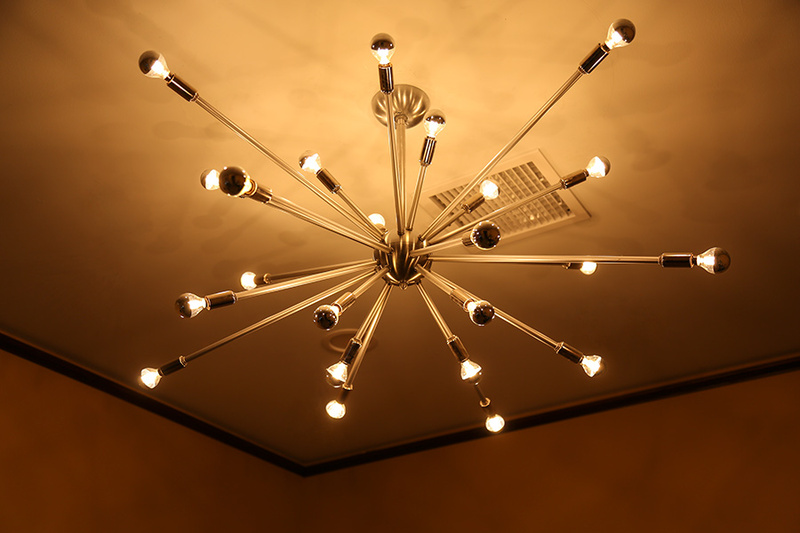 LED Filament Bulb - Silver Tipped G14 Candelabra LED Bulb w/ Filament LED - Dimmable: Shown Installed In Ceiling Hanging Fixture In Warm White. 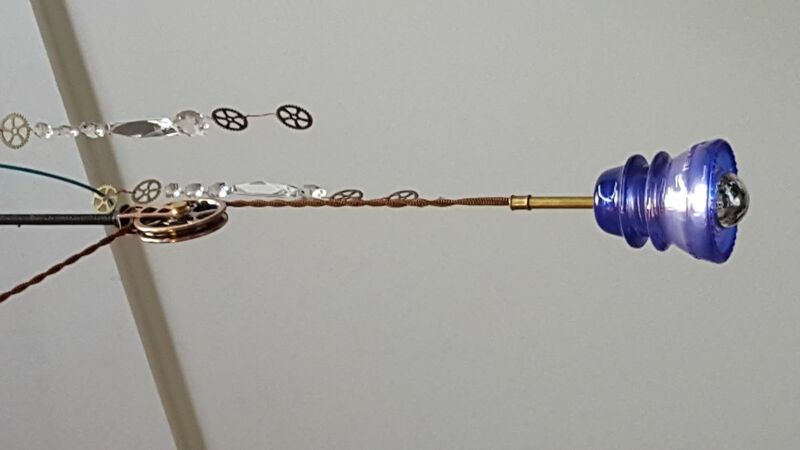 LED Filament Bulb - Silver Tipped G14 Candelabra LED Bulb w/ Filament LED - Dimmable: Detail Of Bulb Installed In Ceiling Fixture. 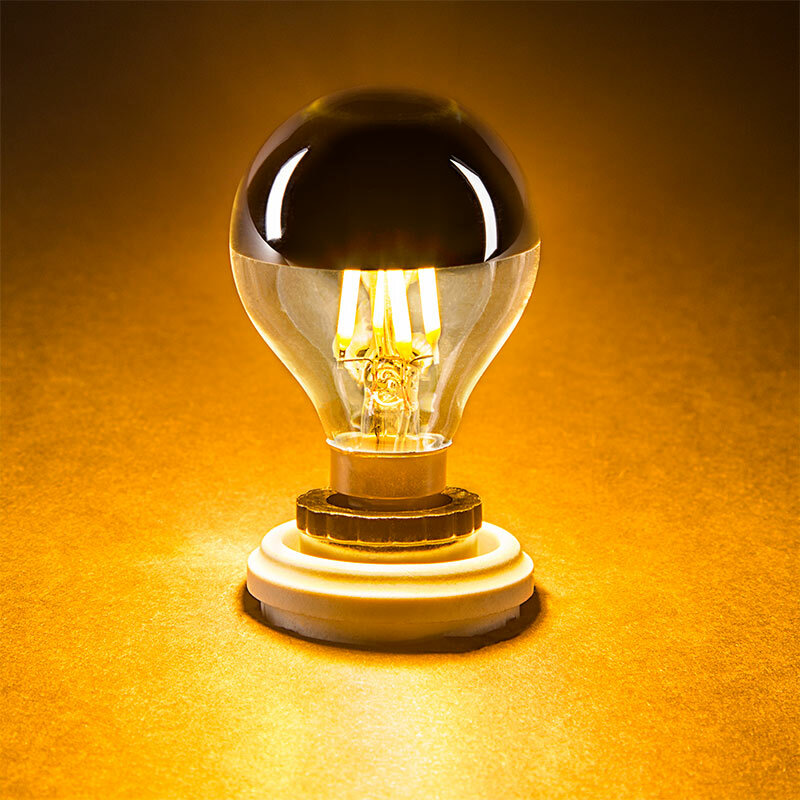 This LED filament bulb creates an elegant, well-lit atmosphere with a chrome silver tip that prevents harsh downward illumination. 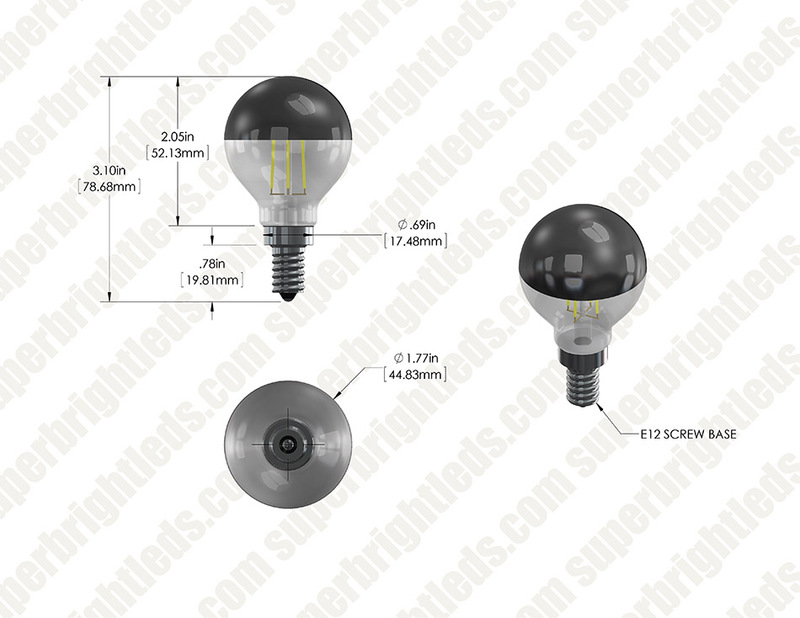 The dimmable G14 LED globe bulb is perfect for vanities, chandeliers, restaurant pendant lights, bistro lights, tent lighting, ornamental lights, commercial light strings, decorative light strands, outdoor wedding lights or for any decorative application that accepts G14 candelabra LED bulb types with E12 bases. 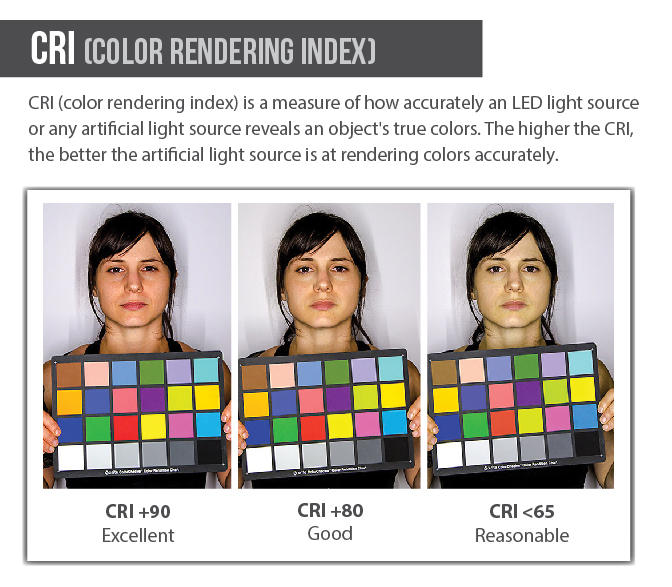 The G14 bulb has 4 COB (chip-on-board) LEDs with an output of 275 lumens of ultra-warm white light at 2400K color temperature. 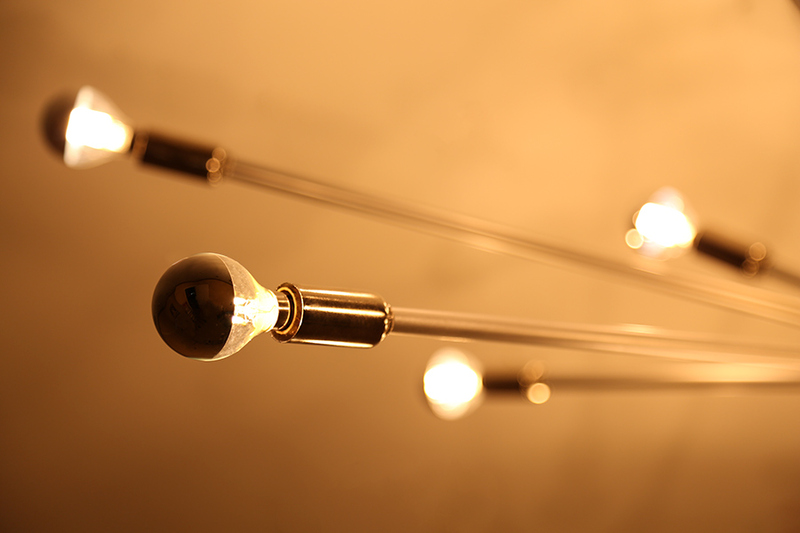 The linear LEDs imitate the look of thin filament wire in antique-style bulbs and emit a 360° beam angle for allover illumination. 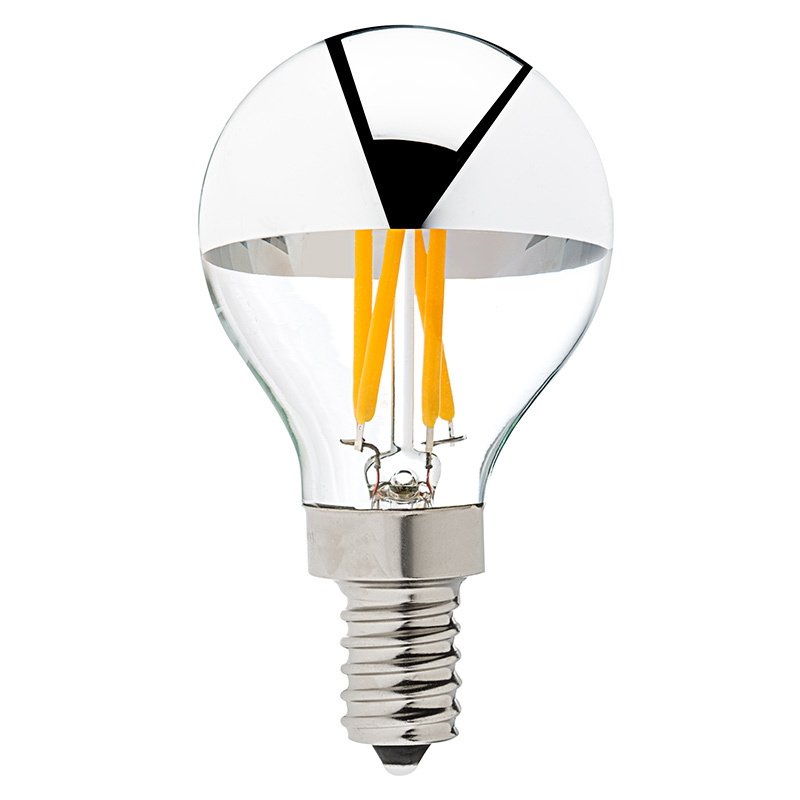 The energy-efficient bulb uses only 3 watts of power; an incandescent bulb with comparable light output would consume 40 watts. 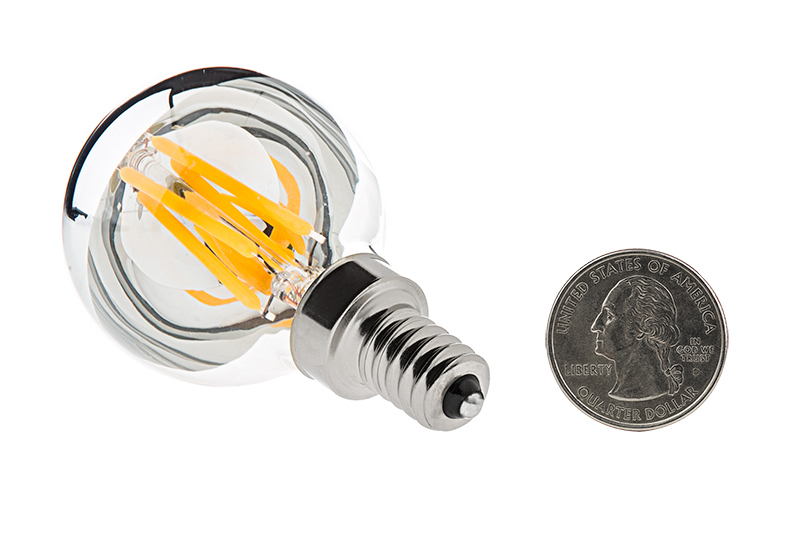 This bulb has 120V AC operation and is designed to last 30,000 hours—25 times longer than incandescents. Price per bulb. Using a Lutron CL style dimmer rated for LED dimming, the low end performance is sub standard (flicker). 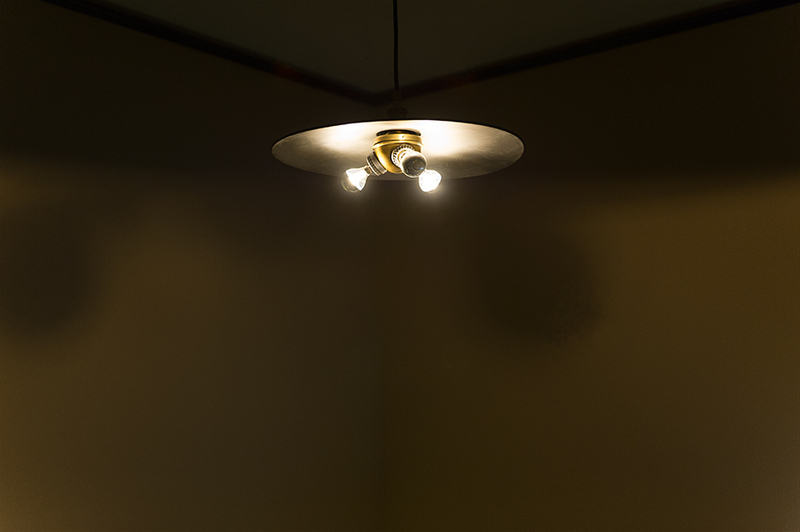 Most manufacturers have value engineered the drivers in LED dimming products to substantially lower the cost. 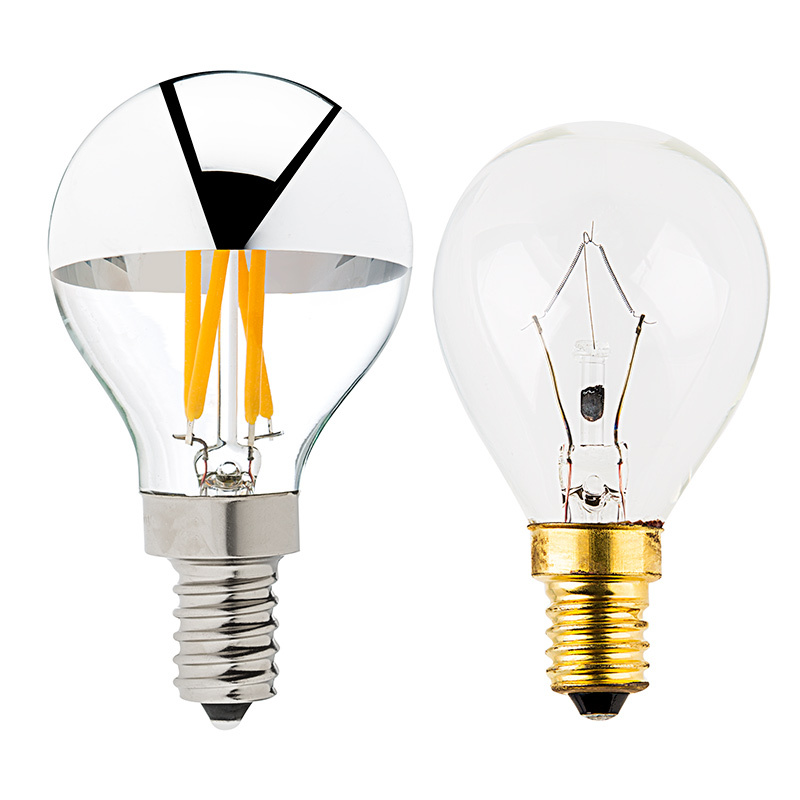 The result in most LED lamps today is the flicker or phase pulse (commercial applications). There are many different ways to dim LEDs and the manufacturer would be well served to offer either dimmer types (INC, MLV, ELV or Lutron CL). I first used a quality MLV dimmer and saw flicker, so at GREAT EXPENSE I changed out all the dimmers to Lutron CL (compact fluorescent dimming or LED). The performance was just as good using a MLV dimmer as it was using a CL dimmer. To say this product is dimmable would not be truthful. I was hoping for just a glow for output but instead I had the raise the light level up quite a bit. 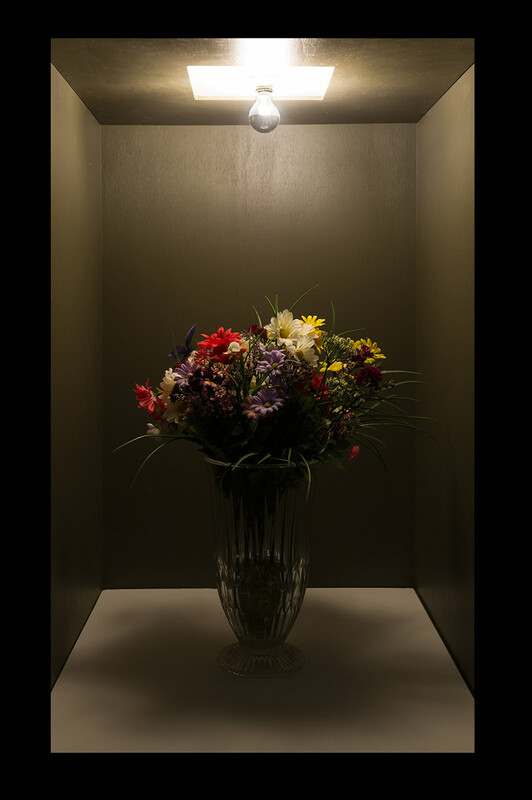 For best dimming results, use an electronic low-voltage (ELV) LED dimmer. We do not recommend MLV or CL dimmers.